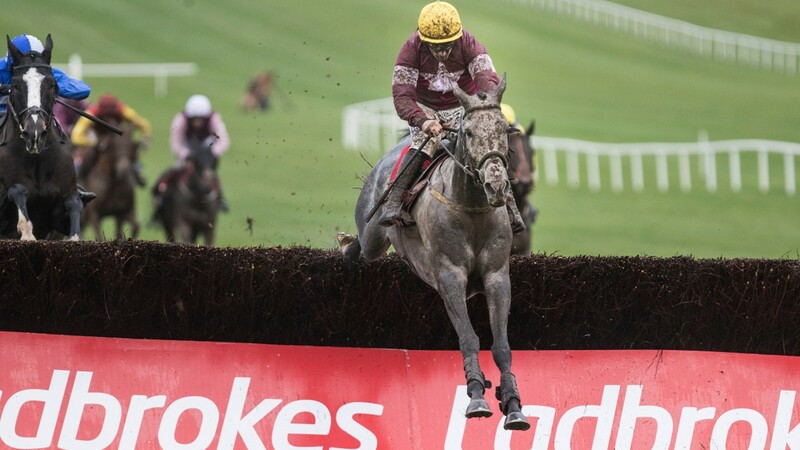 Co. Meath trainer Noel Meade has revealed his exciting grey Tout Est Permis is an intended runner in the BoyleSports Irish Grand National at Fairyhouse. This Gigginstown House Stud-owned six-year-old is three from three since moving from Mouse Morris’ yard to join Meade – winning effortlessly at Galway before winning the Troytown Chase at Navan and the Horse & Jockey Hotel Chase at Thurles. The owners decided against a trip to last month’s Cheltenham Festival, but Tout Est Permis is conveyed to be in ‘rude health’ ahead of next week’s Easter Monday highlight. When questioned about the ground, his trainer Meade replied; “Hopefully there’ll be enough juice in the ground to let him run. He’s going into the unknown over three and a half miles, but it looked to us like he did nothing much more than stay every time he’s run. “He travelled well in the Troytown and won very well that day, but he’s gone up a good bit since”. Tout Est Permis is generally the second favourite by the bookies for this exhilarating renewal of the Fairyhouse Grand national it’s speculated that he could possibly go off the market favourite.